" Making Champions in sport & life one training camp at a time on MT Hood since 1979 "
Pictured above are all the 10 great ladies that made our Annual Speedy's N Rocks U19/PG/U19 Women's 2018 summer training camp such a huge success on MT Hood this past July with 8 solid days of great SL & GS training !! Thanks to our great staff Speedy Archer, Jeff "The rock " Nawrocki, Robert Baker and a special thanks to Mardi Haskell 4 time all American Colby College graduate currently admissions Director at BMA, for setting the pace daily for the College ladies at camp !! Athletes pictured, are Rachel Nawrocki, Tess Coutu, Sophie Sherman, Rylee McCormack Emma Kearing, Camryn Glick, Hanna Trudeau, Sarah Gllis, Abi Guimond, and Rose Hall !! Thank you for coming to visit one of the oldest most well established ski racing camps on the planet !! 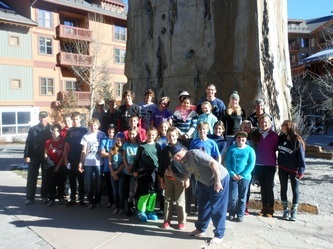 ​" Delivering Life Changing Ski Camps since 1979 "
SEE OUR "A DAY AT SPEEDYS SKI CAMPS VIDEO"BOTTOM OF HOME PAGE!! Announcing our NEWEST Speedys Ski CAMP Project in Kabdalis Sweden! A Fall prep Camp on injected snow with 4 SL/GS FIS starts, from 11/7-11/24/19! The camp held at Kabdalis ski resort in northern Sweden, home of some of the German, Austrian,Swiss, Norge, Swedish WC teams train for the Levi WC. Athletes at Speedys Kabdalis Sweden camp offers a 8 day SL block followed by 2 days of FIS SL starts, and then a 4 day of GS block followed by 2 x ENL FIS GS starts, making a total of 12 training days with most days offering 2 sessions a day, and 4 FIS starts, 16 total days racing / training at Kabdalis Sweden! Kabdalis is an exclusive resort for ski race training with fully injected snow surface for Scandinavian & German WC teams and clubs from around the globe!! Kabdalis is a well kept gem everyone wants to keep a secret! that has amazing low cost for a day of training at Kabdalis! All training is done on injected snow, with both morning and afternoon training sessions! This is a much better quality training option compared to any other destination in the North America. Including Colorado, Mammoth USA and Panorama Canada 3 of the best early season training sites in North America + in Kabdalis you will get 4 FIS starts on the same slopes you’ve been training on during camp! Skiing there is from 7am-7pm. We will be guaranteed 2 lane sessions per day. We usually reserve an AM session if possible and try to get a big session done at once, in the AM. Then we will add a second PM session, using the additional open lane spots available left open by the other teams for anyone can take them. We will also be able to train in with other club or national teams training there, should we wish to do some different training than we have scheduled. FOR MORE INFO ON THE KABDALIS CAMP GO TO OUR "ALL CAMPS AND PAYMENTS SECTION" LOCATED IN NAV BAR AT TOP OF OUR HOME PAGE ABOVE!! SPACE IS LIMITED AND THIS CAMP SELLS OUT FAST!! 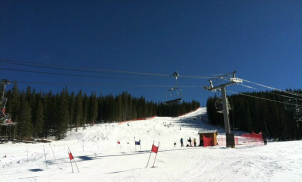 Speedy's Ski Camps covers your spring, summer and fall training blocks, by offering the very best training camps on MT. Hood !! Speedy's camps ensure that you start your 2019 season fast, bringing forward new skills from your Speedy's camp experience to help you get your best 2019 seasons race results ever! Please find MORE INFO on all three 2019 MT Hood sessions on the lower left side bottom of this home page !! 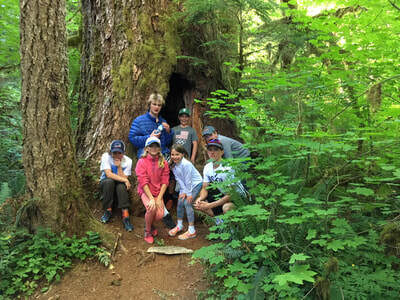 Why Speedy's Mt Hood Ski Camps? Because all of these athletes have trained successfully with Speedy at Speedys ski camps since 1979, with notable results !! Sierra Ryder, Gibson Donnan, Matt Calarco,Patrick Couglin, ( Sandra Schoepke Colby - 2018 Sun Valley Nationals Junior 3rd Place SL), Rachel & Alexx Nawrocki, just to name a few of the many who have got speedier and had there fun at Speedy's Ski camps over the years !! "I've been working with Speedy since I was racing on the World Cup a long time ago! Then and now he knows knows how to set kids up for success and he knows how to get things done. Speedy creates a training environment where athletes get the coaching support and training that is just right for them." -Edith Thys Morgan Speedys MT. Hood Summer Camps Guest Coach, Former member of USST World Cup, World champs, Olympic teams and author of the book "Shut up n Ski " and many other great articles in major ski journals. 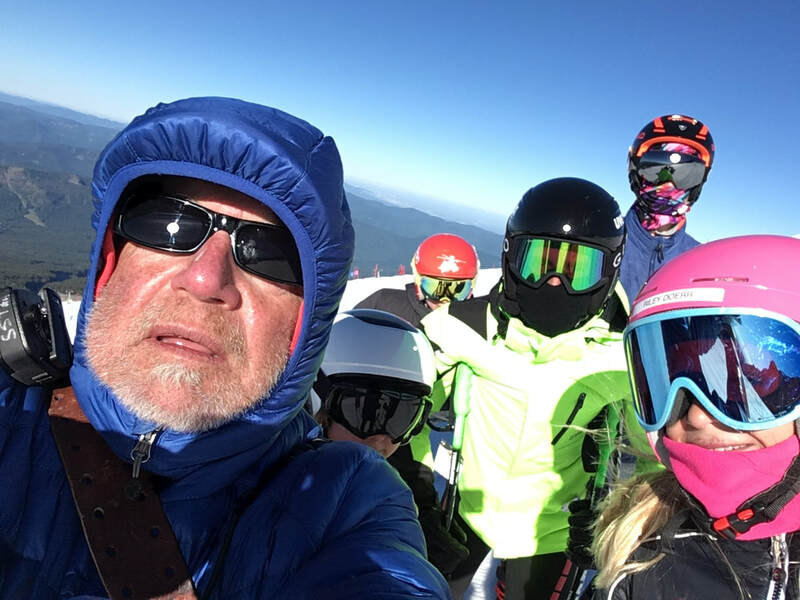 Through his many years of coaching, Camp Director, Mark Archer, aka, Speedy understands the importance of off-season ski camps to develop skiers technical and tactical ski set in addition to conditioning the skier's mind and body in preparation for the upcoming and future race seasons. Speedy's training methods provide a planned progression through an intense, high-level, and proven training program. Speedy's staff is made up of experienced, certified, and seasoned professional coaches that coach full-time year around at some of the most prestigious ski academies, clubs and programs in Canada and USA. Speedy's Ski Camp is not your average cookie cutter, one size fits all, pitch n catch style ski racing camp. Each session's coaching staff's training program is assessed and assigned according to each athlete's ability level. This means the whole camp is not working on the same technical and tactical fundamentals and gate training progressions. Each athlete has their own private coach directed ability level learning and training focus using varied terrain in association with strong gate and drill course sets. The profound success of these training programs are realized with well-balanced coach directed free-skiing progressions, utilizing our private salted training lanes for optimal Slalom, Giant Slalom, training sessions, with timing for our athletes. Athletes will be updated with off hill discussions to promote ski tuning, nutrition, mental conditioning, and physical conditioning. Please keep in mind that these off hill sessions are done to suit the athletes level at each camp session. While being done on a camp session by camp session basis. Implemented by both the coaching staff, and camp director's discretion. Speedy's ski camps only allows 1-12 athletes to attend each camp session, making quality on hill training time our top priority. Video review will done on a athlete coach 1-1 personal level, not in a group session. Our coach to athlete on hill ratio 1 coach per 6 athletes, OR less at each camp session. Thus providing a better learning atmosphere during each video session while providing athletes their own personal technical and tactical skill level critique each and every video session. Each athletes daily video session will be uploaded onto Speedy's Ski Camps You Tube channel. 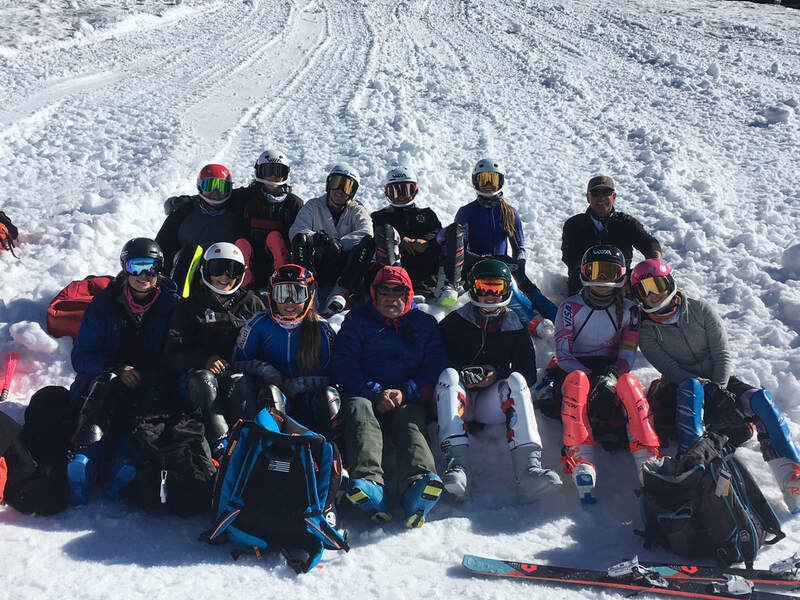 Speedy's Ski Camps designs there daily training program to suit each and every athlete's own technical, tactical, mental, and physical needs, while keeping the fun factor into each training session. No matter what the age and/or skill level they bring to camp, giving them a new level of technical, tactical and mental skills needed to be at the top of their game for this coming 2019 season and beyond. 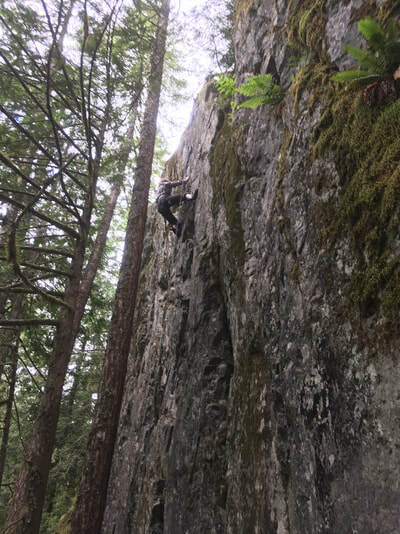 "To develop ski racer's technical & tactical skill set, while conditioning the mind and body in preparation for their next training block, next years winter competition season, & beyond!" Speedy’s camp is a fantastic way to hone your individual ski racing skills. Our program design allows small, 1-6 coach-to-athlete, OR smaller ratios, with multiple free ski and gate training runs at each days camp training session. Speedys proven training progression creates a solid platform of fundamental skills, focusing on technique, tactics and individual racing skill development. This early season foundation will ensure you a head start on your forthcoming 2019 racing season and beyond, read what our campers have to say about the quality of our training camps below. 2019 Summer and fall Camps featuring both Women's and Men's U19/ PG / College and Junior Camps! Camp locations: Mt. Hood, Oregon, Timberline ski area / Palmer Glacier and in Kabdalis Sweden! 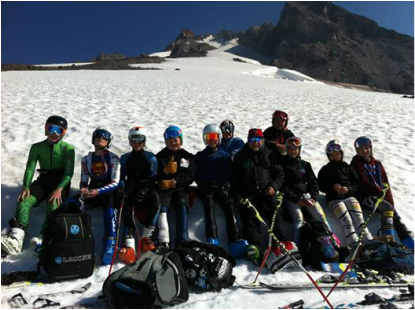 Speedy's Summer Ski Camps are located at Timberline Ski Area on the Palmer Glacier in Mt. Hood, Oregon. Mt. Hood's Palmer Glacier historically holds an average snow base of 9 feet during the summer months of June, July, and August. 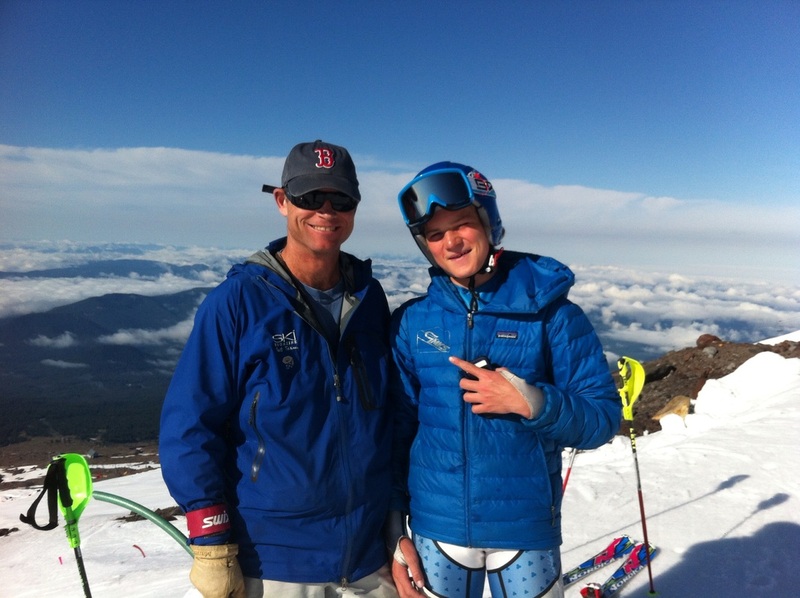 It has been home to summer ski camps for the world's best National and Junior ski teams since 1960. 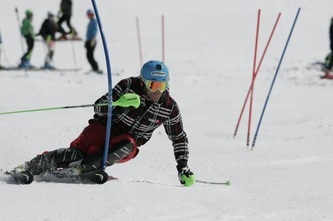 Speedy's Ski Camps offers proven directed free skiing, drills, modern successful brush - stubbie drill courses, with tall gate training done with use of 27mm and 30mm gates within USSA/FIS length training courses. 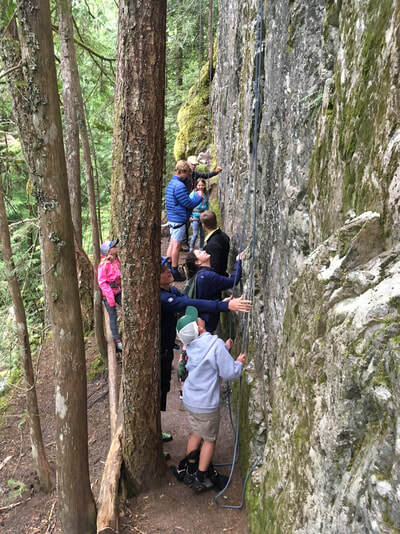 All of these training practices conducted on Speedy's ski camps secure, private, and fully salted training lanes. 2019 CAMP DATES & PRICES All Camps below! Semi private SL/GS camp Limited to only 4 girls! 10 days at camp 4 days GS 4 days SL 1 day off between SL & GS progressions. Arrival Portland Airport 6/3/18 between 12noon and 2:30pm Depart book flight for after 4:30pm on 6/12/19. Lifts, Coaching, Video, Private salted training lanes, timing, FUN, rock climbing, airport transfer and transportation while at camp. In order to cater to each girls individual food diets, food is not included. The girls will prepare/cook their food of choice in their own condos, which has been a favorite camp tradition! 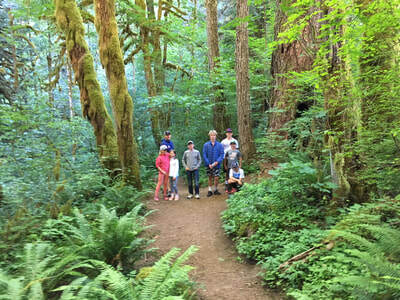 >$1000.00 non refundable deposit due by 4/25/19 to hold your spot at camp. 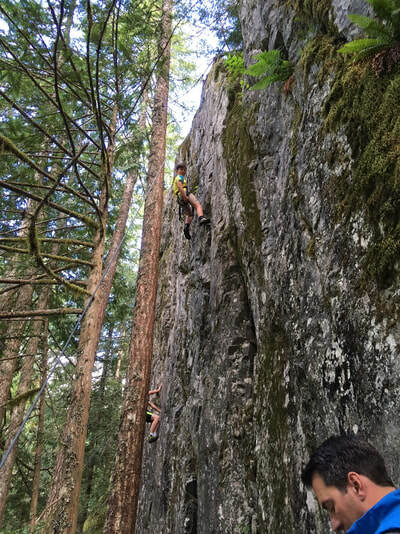 # 2 MSA SL/GS camp MT Hood 2nd year U16, U19 & U21, PG athletes welcome! 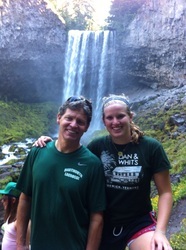 Speedy + 1 Athlete coach setting the pace at camp! 10 days at camp, 5 days SL, 1 day off, 5 days GS progression! insurance, airport transfers, and transportation at camp, 24/7 supervision. >$1,000. non refundable deposit due by 4/25/19 to hold your spot at camp. 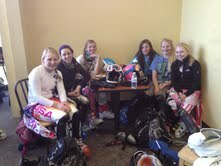 # 3 Speedy & Rocks 3rd annual Women's College ski Camp! Speedy, Rock, Robert, 4 time NCAA all American athlete coach Mardi Haskell! 9 days at camp 4 SL and 4 GS with 1 day off between GS and SL training days. Arrival 7/12 Portland Airport between 12noon and 2:30pm depart Portland Airport 7/21 anytime after 4:30pm. Lifts, salt, coaching,1-1 video review, insurance, lodging, airport transfers, transportation at camp. In order to cater to each girls individual food diets, camp does not include food/meals. The girls prepare/cook of choice of at the condo units. This meal program has been a fav of all previous years women's camps! >$1,000. non refundable deposit is due before 4/30/19 to hold your spot at camp. 2nd year U14, U16 & U19, U21, PG athletes welcome! 10 days at camp, 5 days SL and 5 days GS progression. 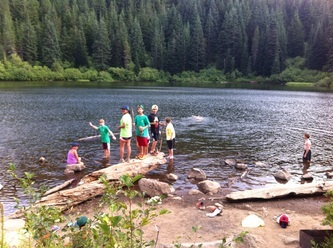 Lodging, Lifts, lodging, meals, 1-1 video, coaching, airport transfers, and transportation while at camp. >Non refundable $1,000.00 deposit due before 4/25/19 to hold your spot at camp. # 5 Speedys Mens U19, PG College SL/GS Dual course training camp! U19/PG/college athletes may apply for this camp! Lodging, meals, lifts,1-1 video review, salt, coaching, airport transfers, transportation during camp, & 24/7 staff supervision. 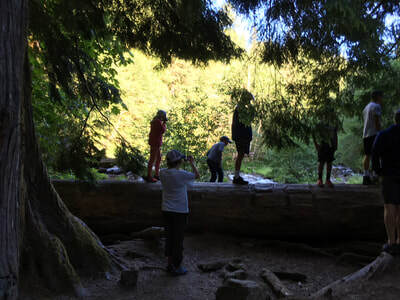 >Non refundable $1,0000.00 deposit to hold you spot at camp due before 4/25/19. # 6 MSA New U16s & Current year U16s athletes welcome! SL/GS pre-season camp! Location Mammoth CA. Camp fee does not include air, meals when traveling, over wt bags, incidentals. #7 MSA SL/GS pre-season camp! + 4 FIS SL/GS starts at Camp! MSA New U19s, 2nd yr U19s U21's, PG athletes with current FIS card may apply! Camp fee does not include airfare, hotel layover on 11/26, meals when traveling,over wt bags,incidentals! MORE INFO on main page! $1000. non-refundable deposit due by 6/1/19. All inbound flights should be booked to arrive into PDX Portland airport between 12:00-2:30pm pst on the first scheduled camp date and All outbound flights depart anytime after 4:30 pm pst on the last scheduled camp date. Private 1 on 1 or 2-5 athletes per day, week, or longer sessions not listed above available upon request. Former Head Alpine Equipment Tech Women's U19/FIS coach at Carrabassett Valley Ski Academy @ Sugarloaf Maine USA. Speedy brings more than 35 + years of national & international coaching experience, helping numerous juniors reach the USST/CDN national Team, NCAA Teams, going on to race, podium and medal at WC,Olympic/WChamps. 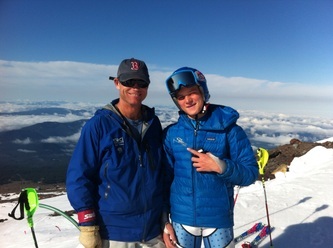 Bringing this successful experience with him to contribute to continue Speedy's Ski Camps tradition of making champions one training day at a time since 1979. We add only USSA CERT. coach's on staff, and top athlete coaches added as needed for each session. This to maintain our 1-6 coach to athletes OR less ratio at each camp session. The coaches on our staff are USSA certified full time coaches from top level ski race programs through out the USA and Canada! 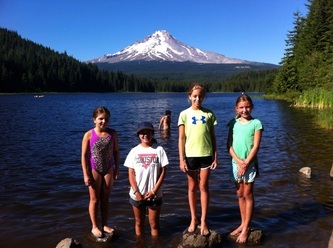 To here what some of the Speedy's campers say about their camp experience at Speedy's Ski MT Hood Camps, visit the camper testimonials section! During our Session 1 private camp, we skied and trained anywhere from 3 to 4 hours on Mt. Hood's Palmer Glacier. The athletes skied 4 days of 400 slalom gates, and 4 days of full length Giant Slalom courses, taking 8 to 12 runs each day on our private, salted lane. After training, Speedy has a thorough video analysis session. 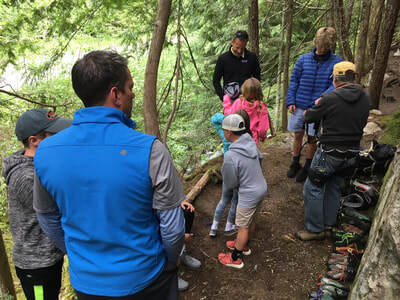 The campers view and critique their video 1 on 1 from that day's training, and the video is posted on Speedy's Ski Camps Sprongo account for viewing. 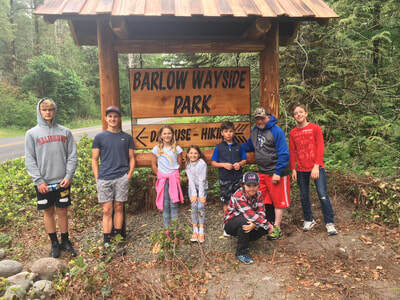 After tuning and waxing their skis daily, the campers enjoyed activities of their choice which involved anything from paddle boarding in Hood River, to hiking Mirror Lake. 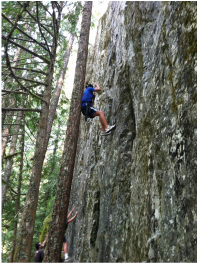 We offer rock climbing, hiking, swimming, golfing, weight training, and field sports including soccer. Homemade, delicious breakfast, lunch, and dinner is provided during this private camp June session by Speedy's wife, Carol. The meals include, for breakfast a homemade cranberry quinoa, fresh fruit, toast and cereal. For lunch freshly made burritos, salads, and Asian noodles and vegetables. Finally, dinner includes BBQ, various pasta dishes, and full chicken dinner with all the trimmings. 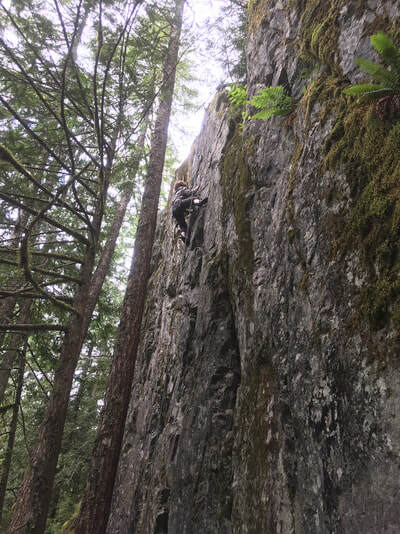 We were happy to have had Bella Amico, Sandra Schoepke, and Chauncey Morgan at our first private camp this past June 2018!